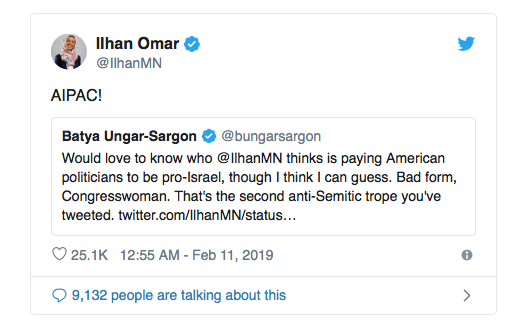 Ilhan Omar has done her bit to prove that the far Right doesn’t have a monopoly on antisemitism (see: Corbyn J). 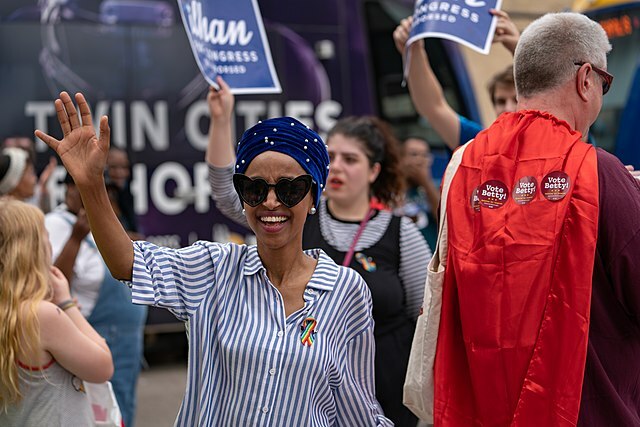 Omar, one of just two Muslim women in the US Congress and a Somali refugee, posited the considered and not in the least bit racist view that support for Israel among her fellow politicians was fueled by money from a pro-Israel lobby group. Ms Omar represents the state of Minnesota. But, as with so many on the Left, her narrow thoughts are dominated by Jews. 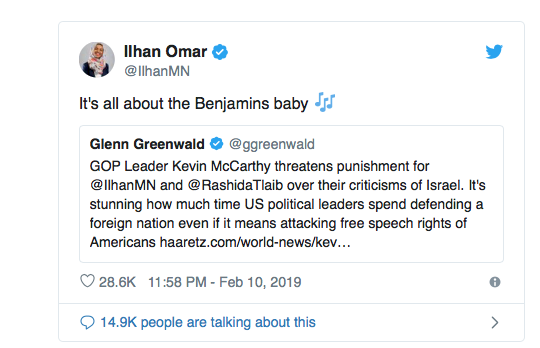 She tweeted: “It’s all about the Benjamins baby.” That’s a reference to $100 bills, which feature an image of Benjamin Franklin (not a Jew). 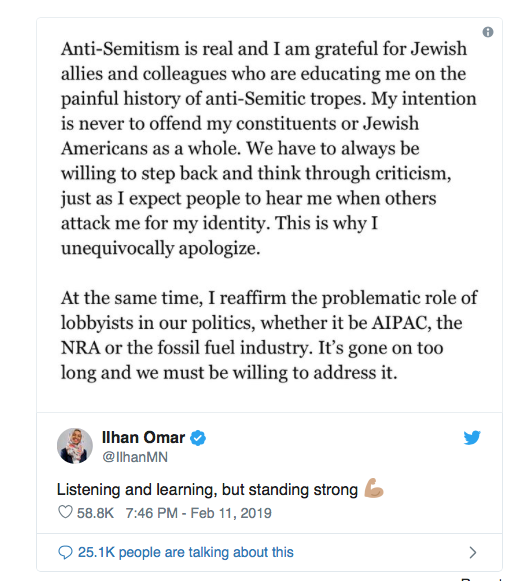 A kind heart on Twitter asked her who she thought was behind US politicians’ support of Israel. Ms Omar was quick to the punch. “AIPAC!,” she exclaimed, a reference to the American Israel Public Affairs Committee. Not as a whole. What was her intention, then? To claim American Jews owe allegiance to foreign power? It’s not her. It’s you. The sympathetic backstory; the call to look to yourself; the non-denial detail. It’s all there in a few mealy-mouthed words. And this is the same Omar who backs the censorious BDS movement. Omar who said Israel “has hypnotised the world”, and that Israel was uniquely “evil”. Those comments were made in 2012. They did not stop her becoming an elected representative. Why? Because to most people, Jew hatred doesn’t matter. It’s back. And its rife.